IEG: Time to Run for Cover? Has the dust finally settled on asbestos litigation after the recent UK Supreme Court decision in Zurich Insurance PLC UK Branch v International Energy Group Limited  UKSC 33 (IEG)? Probably not. IEG has caused more confusion than certainty in the development of mesothelioma cases and insurance law. Whether the principles of equity, justice and fairness between the interest of victims, insureds and insurers, has actually been achieved is questionable. An individual who has been exposed to asbestos dust and fibres during his employment is open to the risk of developing mesothelioma, a malignant tumour. The condition can lay dormant for 30–40 years and may develop within a few years. An employee may not know that he has been exposed to asbestos. If the employee had to prove the employer’s negligence, this would prove almost impossible, especially if he has worked for numerous employers or the employer has ceased business or become insolvent. The problem is less significant if he has only worked for one particular employer who can easily be identified. The House of Lords in Fairchild v Glenhaven Funeral Services Ltd  1 AC 32, relaxed the principles of causation, to protect such victims (the “Fairchild enclave”). 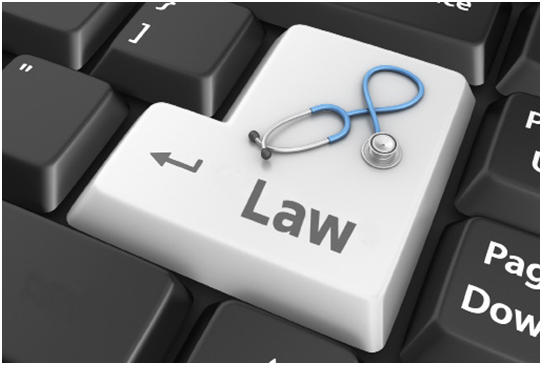 Therefore, all an employee needed to prove was some “weak” or “broad” causal link for the disease to be regarded as “caused” within the insurance period. The employer would be 100 percent liable. However, the House of Lords in Barker v Corus  2 AC 572, shifted from the principles in Fairchild and considered that liability should be apportioned according to the employer’s contribution to the risk according to the time of exposure, the intensity of exposure and the type of asbestos. This formulation required an employee to sue each and every employer to recover. After the decision in Barker, and its unfair result, Parliament, within three months, felt it necessary to give protection to an employee by passing the Compensation Act 2006 to impose joint and several liability on all former employers. Before the Supreme Court decision in Durham, an employer was held liable when the disease took hold. In Bolton Metropolitan Borough Council v Municipal Mutual Insurance  1 WLR 1492, the scene was set for the Court of Appeal to interpret liability for injury or illness in a policy which stated the disease “occurs during the currency of the policy”, which in a public liability context, meant when the disease took hold and not when the employee was exposed to the risk of asbestos. The tables were turned in Durham v BAI (Run-Off) Ltd  1 WLR 867 (also known as Trigger litigation), where the Supreme Court unanimously held that the words “injury sustained” or “disease contracted” by an employee in the insurance policies, meant that liability would be triggered on any exposure by the employer and not the date when the onset of mesothelioma developed or manifested, although this was distinguished on the ground that the court here was dealing with employers’ liability insurance. The Supreme Court unanimously agreed that Barker represented the common law position which applied in Guernsey. IEG was only liable for a proportionate part (ie, 22.08 percent) of the 6 year period of Midland cover. The Court was however split 4:3 on the extent of an insurer’s liability when the insurance cover was only for part of the exposure to the employee. The majority view was that the employer’s insurer was liable for the whole of the employer’s liability to the employee. The insurer could then seek proportionate contributions from other insurers of other periods, and even claim from the employer himself. The minority view is that this loss should be limited to the proportion of the policy years to which there had been exposure. 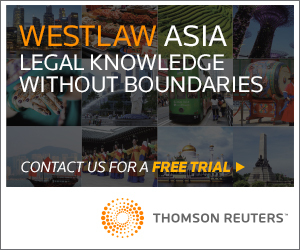 Hong Kong does not have an equivalent to the Compensation Act 2006. The principles in Barker will apply in Hong Kong, and all the principles as laid down in IEG will be directly relevant to Hong Kong. It is important to look at the analysis adopted by the Supreme Court on the special issue and employers’ liability insurance. A common theme throughout the judgment was the importance to achieve “a fair balance of the interest of victims, insureds and insurers”. The Supreme Court acknowledged the need to adapt “existing tools” of the law to meet the “unique situation” which arose in the Fairchild enclave. This can be seen in the solution to the anomalies identified regarding (1) liability, (2) contribution and (3) recoupment/self-insurance, and how the courts have given new interpretation to existing cases or have been very selective when relying on cases to support propositions. 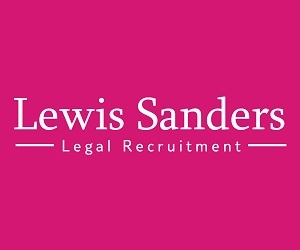 It is unclear whether the principles on liability only apply in situations like the present case, where cover is provided for a limited period or when dealing with unique situations or if it has a wider general application. At first blush it seems that if it is a situation that falls outside the parameters of the Fairchild enclave, then the insurer will not be liable for a risk that falls outside the period of the policy. An assured will not be allowed to choose whichever order to sue to maximise allocation of his recovery. 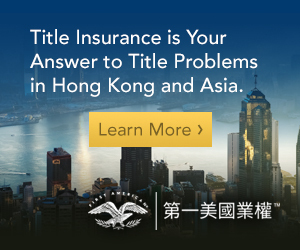 The application of Barker in Hong Kong will not afford full protection to the assured, who has paid premiums, and is at risk of receiving nothing. Insurers, on the other hand, will still have subrogation and contribution rights, after an employer who has taken out employers’ liability insurance has been sued. 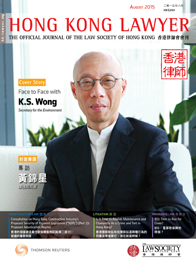 It may be prudent for Hong Kong to implement similar legislation as the Compensation Act 2006, to avoid the narrow and unfair approach adopted by the courts under the common law. It is interesting to note that the majority in IEG was of the view that by imposing full liability upon Midland, Midland would then be able to seek insurance contribution from Excess. The right of insurance contribution however only arises in cases of double insurance (ie, where there are two or more policies taken out by one individual which covers the same interest, same subject matter covering the same risk). If the approach adopted is that there are separate losses in each year, this precludes double insurance, because the policies are not concurrent (as discussed in Phillips v Syndicate 992 Gunner  Lloyd’s Rep IR 426). The decision in IEG now suggests an extension of such principles to contribution across policy years. The majority view that the Civil Liability (Contribution) Act 1978 does not apply, even though s. 1(1) of the 1978 Act would be satisfied, is questionable. It could be said that the extension of such principles to ensure fairness and justice should be commended, but this is not a case of double insurance. The Supreme Court analysis has lead to more uncertainty. Furthermore, the court did not state what the correct method for calculating contribution would be in such situations, but it seems that apportionment based on the independent actual liability calculation as in National Employers Mutual General Insurance Association v Haydon  2 Lloyd’s Rep 149, would lead to a fairer result. On the issue of self-insurance, the majority found that Midland could seek recovery from IEG, where IEG had no insurance. It extended the principles of restitution, which is normally applied between insurers, when dealing with the issue of contribution or subrogation rights, and not an assured. There is no authority that specifically deals with this principle. The only situation where there can be a distribution of such liability is under s. 81 of the Marine Insurance Act1906 which deals with underinsurance, but this is not recoupment as such. This is yet another attempt by the Supreme Court to achieve a new result not supported by authorities. It is unclear on what basis the courts should allow for recoupment. The position should be that either the assured is completely covered under the insurance policy, or if there is no insurance, then he will be uninsured. If the majority view is correct, this means that the assured will now be treated as an insurer. The implications in cases where there is reinsurance in mesothelioma cases is also unclear, as to whether the reinsurers can decide to base allocation on maximisation of recovery or should the reinsurer place the loss based on the year it occurs. However, the majority reasoning would suggest that the reinsurer will now only be liable to proportionate percentage of the loss, and not the whole of the loss. It will have to be seen whether the extensions to the Fairchild enclave only applies to those cases which fall within the principle of Fairchild or if it will extend outside of these types of cases. Further guidance is needed before the dust finally settles.